Peer-to-peer ridesharing, taxi cab, food delivery, and transportation network company Uber is officially one step closer to being an aeronautics firm, as well. The company announced on Thursday that its Uber Elevate division has a deal in place with researchers from the Cockrell School of Engineering at The University of Texas at Austin (UT) and the U.S. Army Research Labs (ARL) to help innovate rotor technology for vehicles as part of the urban aviation ride-share­­ network called uberAIR. That’s right -- we’re finally catching up with The Jetsons. 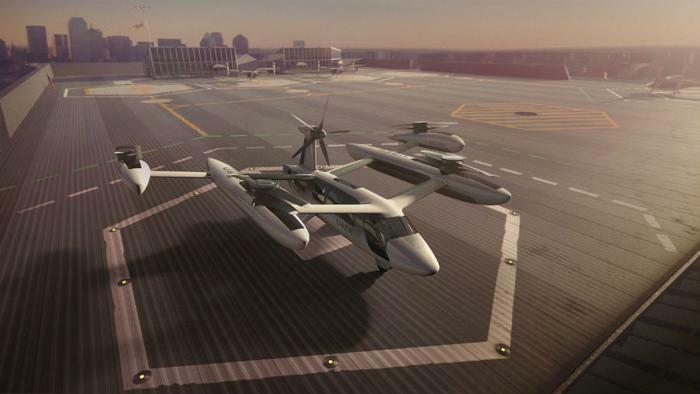 Uber’s “flying cars” will consist of vertical takeoff and landing aircraft (VTOL), similar to helicopters and drones. Uber has pegged Los Angeles and Dallas as the introductory metropolitan areas for Uber Elevate, and seeking an international city as the third partner. The company’s wish list hopes for actual flying demos by 2020 and making UberAir a commercial reality by 2023. The blueprint for the (VTOL) planes is to build a completely electric vehicle with a cruising speed of 150-200 mph, a cruising altitude of 1,000-2,000 feet, and the capacity to accomplish trips of up to 60 miles on a single battery charge. “We’ve realized that to create efficient cities with less congestion and cleaner air, we also need to look to the sky,” said Eric Allison, Uber’s head of Aviation Programs. Dallas and Los Angeles certainly give Elevate those challenges. Both endure major traffic congestion, especially during morning and afternoon rush hours, and Elevate suggests it can slice those commute times by as much as 80 percent. As an example, a 25-mile drive from DFW Airport to the suburb of Frisco, Texas, typically takes up to an hour during peak commute times, but in an uberAIR vehicle, the trip could take less than 10 minutes. Part of that showcase included a video that explains how Elevate will look, as well as its role and potential impact.